B & B Heating & Air, Inc. Comment: Unit doesnt work at all, freezes when heat is on as well. Comment: I have an indoor unit Goodman and an outdoor compressor by Carrier. One switch inside to go from cool to heat. Heat still works but the AC does not. Possibly needs Freon but it definitely needs a good cleaning. 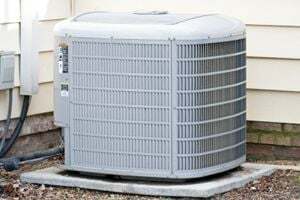 Comment: I have an old Rheem AC and Heat Pump until that was probably original to the home I own when built. My neighbor helped with some repairs but said it may need a full replacement and I\'d like to see if some service or repairs can get a few more years out of it. It\'s probably 20+ years old. Martinsburg HVAC & Air Conditioning Contractors are rated 4.74 out of 5 based on 234 reviews of 10 pros. Not Looking for Air Conditioning Contractors in Martinsburg, WV?